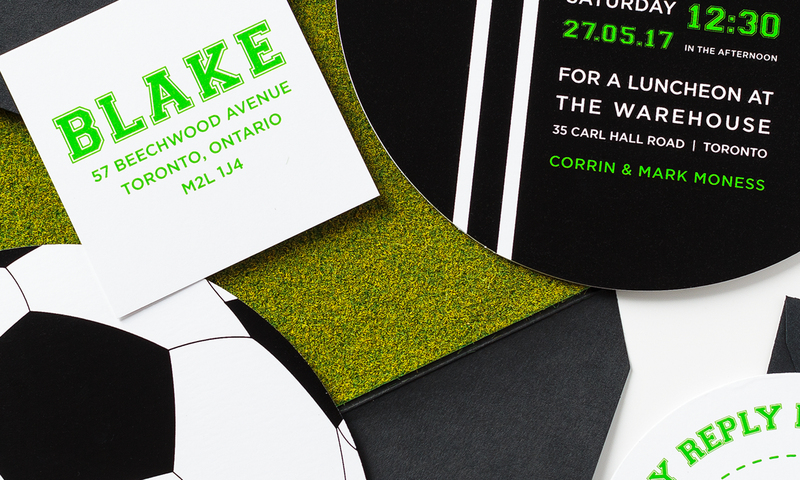 This soccer themed invitation is perfect for any soccer fan, but can be easily customized for any sport. We used a faux grass paper on the inside of the envelope that mimics the field. 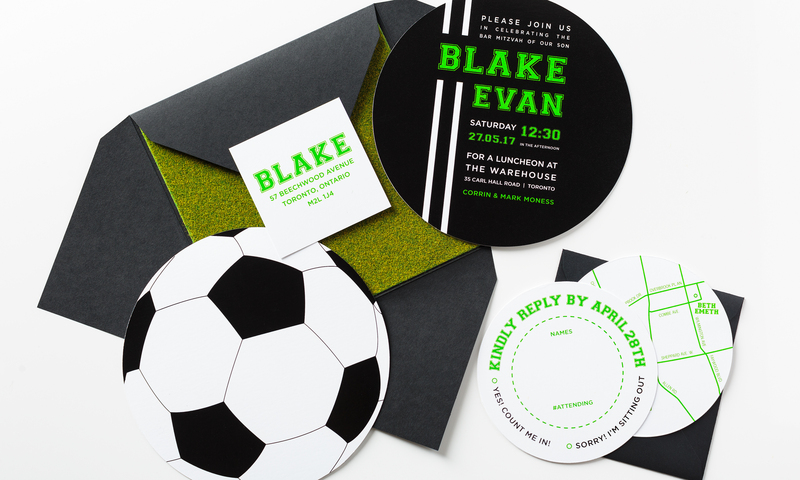 The soccer ball invite reverses to the ceremony details, and the matching circle insert cards complete the set perfectly.